With football season in full swing—Go Colts!—I’m reminded of a man who became an icon of the game while coaching the Fighting Irish of Notre Dame University in my home state of Indiana. Fans of American football in the U.S.A. and around the world are familiar with the name Knute Rockne. The innovations he brought to the game, his larger-than-life persona, and 105 victories earned Rockne the title of American football’s most renowned coach. Born Knut Larsen Rokne in Voss, Norway in 1888, Knute emigrated with his parents to Chicago, Illinois at the age of five. He learned to play the game of football in his neighborhood and played end for a local team called the Logan Square Tigers. He continued playing football in high school and ran track as well. Unable to afford college after graduating high school, he worked for four years as a mail dispatcher for the Post Office to earn money for college. 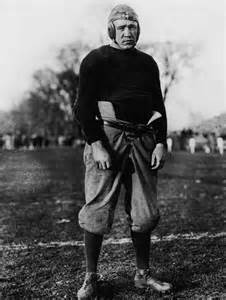 At the age of twenty-two, Rockne enrolled in Notre Dame University in South Bend, Indiana, where his legend would be forged. Majoring in chemistry, Rockne earned a degree in pharmacy. While at the university, he studied under Julius A. Nieuwland, the famed chemist whose work with acetylene led to the invention of synthetic rubber. 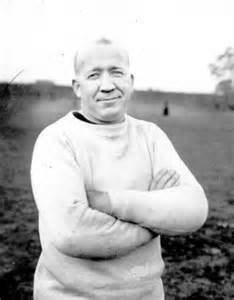 It would be Rockne’s actions on the gridiron, however, that would chisel his place in history. It was during a Notre Dame vs. Army game November 1, 1913 that Rockne and his friend and teammate, Charlie “Gus” Dorais transformed the game of football by utilizing the forward pass; a play that today is considered an integral if not indispensable part of the game. Though the play had been used in previous football games, never before had anyone used the forward pass to the extent that Knute and Gus did. They won the game 35 to 13. After college, Knute played profession football in Ohio for the Akron Indians and the Massillon Tigers where he again teamed with Dorais to bring the forward pass to professional football, leading the Tigers to a championship in 1915. In 1919, Rockne was named head coach of his alma mater, Notre Dame. Over the next thirteen years, he led the Fighting Irish to 105 victories, and only twelve losses and five ties. His record there included three national championships and five undefeated seasons without a tie. Some of Rockne's more notable players were George “Gipper” Gip, the fabled “Four Horsemen” (Harry Stuhldreher, Don Miller, Jim Crowley, and Elmer Layden) and Earl Louis “Curly” Lambeau, for whom the Green Bay Packers Lambeau Field is named. With his innovative plays and winning strategies, Rockne’s celebrity rose through the 1920s and early thirties. Famous for his inspiring pre-game speeches to his team, his most-mentioned and arguably most emotive speech was the one he made November 10, 1928 during half-time when the Irish were losing to Army. He is said to have shared these deathbed words of his former star player, George Gipp. “I’ve got to go, Rock. It’s all right. I’m not afraid. Sometime, Rock, when the team is up against it, when things are going wrong and the breaks are beating the boys, tell them to go in there with all they’ve got and win just one for the Gipper. I don’t know where I’ll be then, Rock. But I’ll know about it, and I’ll be happy.” The team went on to win that game 12 to 6. 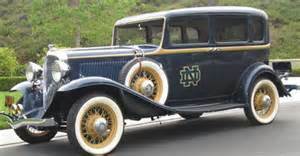 Rockne’s celebrity as a winning coach gave him the opportunity to promote not only Notre Dame football, but other products including the South Bend, Indiana based automobile maker, Studebaker. The car maker even developed an automobile model, the Studebaker Rockne, named for the famous coach and pitchman and sold from 1931 to 1933. 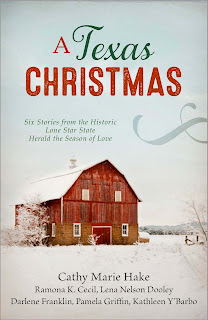 Several movies have immortalized the life and accomplishments of Knute Rockne including The Spirit of Notre Dame and Knute Rockne, All American. It was in March of 1931, while en route to the production of The Spirit of Notre Dame, that Rockne died when the plane he was riding in went down in Kansas. 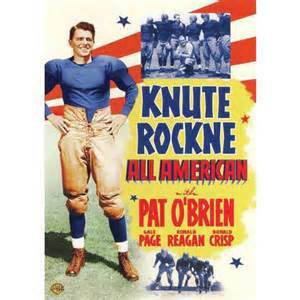 In the 1940 movie Knute Rockne, All American, future president, Ronald Reagan played the part of George “the Gipper” Gipp. Besides the movies, numerous other memorials have been made to the famous coach, including the Knute Rockne Memorial Building at Notre Dame University as well as their main football stadium, a plaque and a statue in his birth town of Voss, Norway, a memorial at Bazaar, Kansas, the site of the crash that took his life, a street next to a football field in Illinois, the town of Rockne, Texas, in 1943, the U.S. Navy named a ship the SS Knute Rockne, in 1988 the U.S. Postal Service honored Rockne with a commemorative stamp. 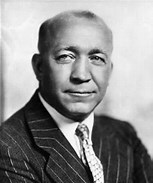 Knute Rockne is enshrined in the College Football Hall of Fame and the Indiana Football Hall of Fame. I grew up hearing about Knute Rockne from my grandfather who loved sports. Although we were not Catholic, Notre Dame was THE team he liked and supported. When I was a teenager back in the 1950's, we made a side trip through Indiana specifically to visit the Notre Dame Campus. Thanks for the great information about this legendary man.